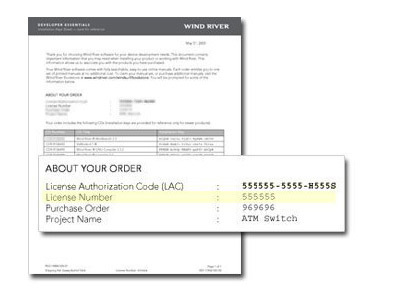 Your License Number is included in the Wind River Product Confirmation Email your company representative received. This email also includes your License Administrator Token (LAT) and License Authorization Code (LAC). 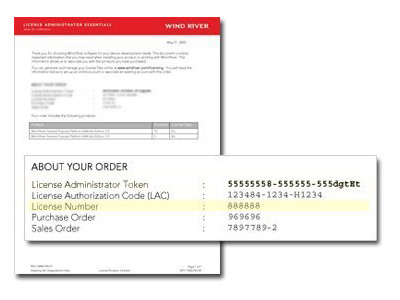 If you received a physical shipment for your product order, two documents were included that provide these license details. One is intended for the developers who will use the product, and the other is intended for license administrators who are responsible for deployment and management of the software in your organization. Still can't find your license? Receive your license by email.